Questionnaire data have many important uses, but is laborious for the subjects to provide. EDUFORM tries to alleviate this problem by enabling the creation of adaptive online questionnaires. The idea is to build a probabilistic model from previously gathered data, and employ it for predicting the profiles of new users on the basis of a subset of the questions in the original questionnaire. The questions presented to each individual are selected adaptively to minimize the number of answers needed. Empirical evaluations suggest that 85-90% profiling accuracy can be achieved, while the number of answers is reduced by 30-50%. Miettinen, M., Nokelainen, P., Kurhila, J., Silander, T. & Tirri, H. (2005). EDUFORM – A Tool for Creating Adaptive Questionnaires. 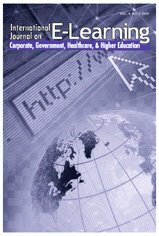 International Journal on E-Learning, 4 (3), 365-373. Norfolk, VA: Association for the Advancement of Computing in Education (AACE). Retrieved April 20, 2019 from https://www.learntechlib.org/primary/p/5425/. Bernardo, J., & Smith, A. (2000). Bayesian theory, (2nd ed.). New York: John Wiley & Sons. Brusilovsky, P. (2001). Adaptive hypermedia. In A. Kobsa, (Ed. ), User Modeling and User Adapted Interaction, Ten Year Anniversary Issue, 11(1/2), 87-110. Cover, T., & Thomas, J. (1991). Elements of information theory. New York: John Wiley & Sons. Johnson, V., & Albert, J. (1999). Ordinal data modeling. New York: Springer. Kontkanen, P., Myllymäki, P., & Tirri, H. (1996, August). Predictive data mining with finite mixtures. Proceedings of The Second International Conference on Knowledge Discovery and Data Mining, (pp. 176-182). Portland, OR. Ruohotie, P. (2002). Motivation and self-regulation in learning. In H. Niemi & P. Ruohotie (Eds. ), Theoretical understandings for learning in the virtual university, (pp. 37-72). University of Tampere, Finland: Research Centre for Vocational Education. Tirri, H., Kontkanen, P., & Myllymäki, P. (1996). Probabilistic instance-based learning. In L. Saitta (Ed. ), Machine learning: Proceedings of the thirteenth international conference, (pp. 507-515). San Francisco: Morgan Kaufmann. Titterington, D., Smith, A., & Makov, U. (1985). Statistical analysis of finite mixture distributions. New York: John Wiley & Sons. Audio Use in E-Learning: What, Why, When, and How?